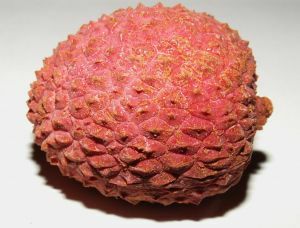 Also known as the laichi, litchi, and lichu, the lychees is the only member of the Litchi genus in the soapberry family. It is a tropical and sub-tropical fruit tree which is native to China, but is now grown in many areas of the world such as in India, Vietnam, South Africa, USA (Hawaii and Florida) and Thailand. Lychees are popular in China, South East Asia, Israel, Japan, Australia, and South Asia. The lychee tree is an evergreen tree that reaches 10 – 20 meters tall. 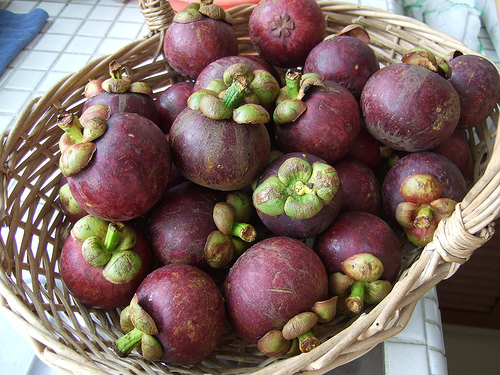 It bears delicious fleshy fruits up to 5cm long, and 4 cm wide. It is round in shape, and it has a pink-red rind which has a rough texture. The rind is inedible, but it can be very easily removed by using ones fingers to expose its sweet and translucent flesh. The fresh fruit has a delicate and whitish pulp, and has an almost perfume-like flavor. However, this flavor is lost when it is canned, so it is usually eaten fresh. The lychee was first cultivated as far back in history as 2000 BC, according to Chinese records. Cultivation began in China, north Vietnam, and Malaysia. Although it is mostly grown for commercial purposes, you can still see wild lychee trees growing in Hainan Island and in southern China. Historical records show that this fruit was seen as a delicacy in the Chinese Imperial Court. 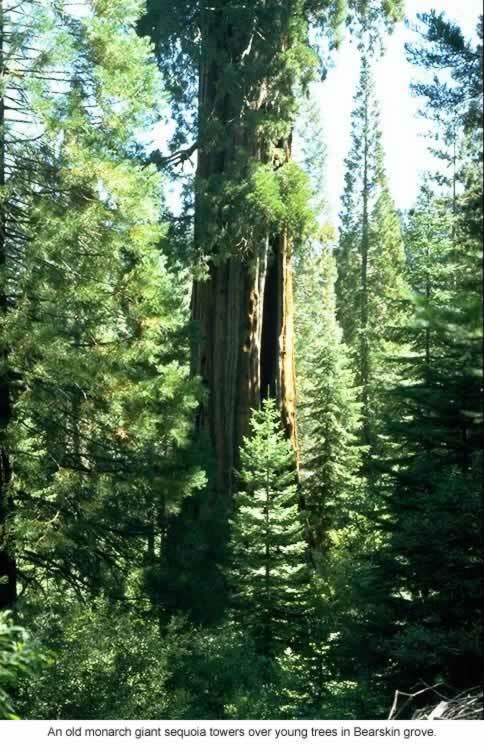 This tree and fruit was first described and introduced to the West in 1782. Pierre Sonnerate wrote in Voyage aux Indes orientales et à la Chine, fait depuis 1774 jusqu’à 1781, which was published in 1782, about the Litchi chinensis. 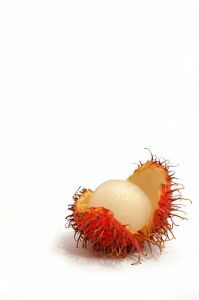 There are 3 lychee sub-species, which are determined by fruit, twig thickness, flower arrangement, and the number of stamens the flower has. 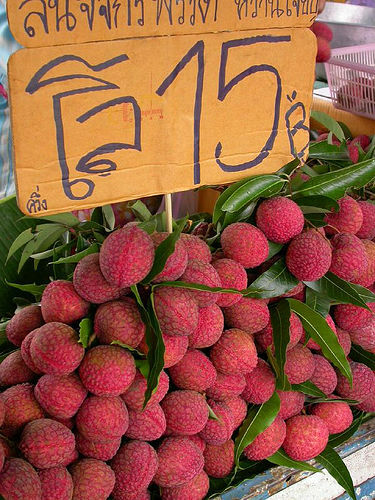 Lychees can be found sold fresh in Asian marketplaces. You can also find them fresh in some supermarkets around the world. When you are buying them fresh, do not be alarmed if the red ring turns dark brown when refrigerated as the taste is not affected. The fruit can be dried with the rind in tact, but obviously the flesh will shrink and darken. It can be found in a canned form year-round. Dried lychees are called lychee nuts, although they actually are not a type of nut. It is is said that Uighur and Chinese cultures use the lychee as a form of baby food. This is because of the amount of nutrients it gives newborn babies. Apparently, Chinese parents will give their 4.5 month or older baby a lychee in place of a pacifier.